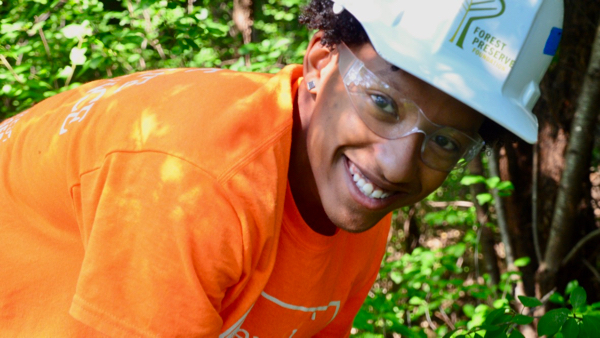 Conservation Corps programs focus on habitat restoration goals while providing teens with paid summer internships in the Preserves, science education, and a self-esteem enriching experiences. 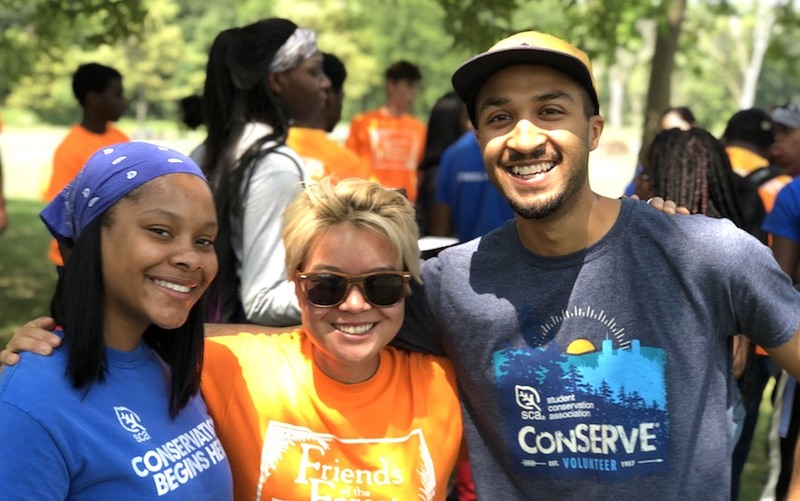 The Foundation has made nearly $500,000 in grants to Chicago Conservation Leadership Corps program and Forest Preserve Experience programs. Each offers high-quality programming that deeply impacts the lives of youth and the health of the Preserves. 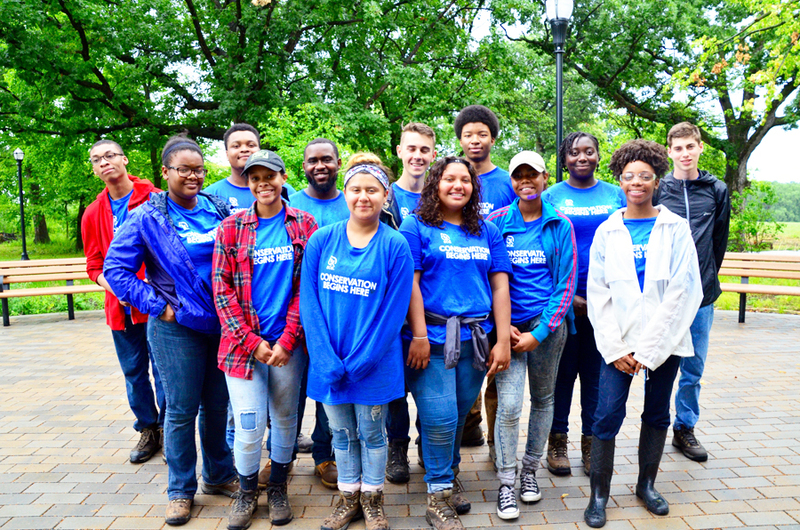 During the summer of 2018, a Chicago Conservation Corps crew supported the Foundation worked in Dan Ryan Woods. Together, the 13 crew members accomplished a lot. “We got through seven turnpikes, a check step and three water bars, a lot of invasive species and did some seed collection,” crew co-leader Kailin Sepp (above, center) said, proudly talking about the experience, as she stood in the late morning sunshine at Ted Stone Preserve. Show these young people your support and send them wishlist items via amazon.com today. You can purchase supplies that directly support youth working and learning in the preserves. The Forest Preserves of Cook County’s Conservation Corps members are working on-the-ground, year around, in all sorts of weather. Their hard work is helping us to restore our Forest Preserves back to health. These hard-working youth have requested certain items essential to accomplish this critical work. They also made a special request to have camping gear available for the Conservation Corps Crews. Many of the members have never had the opportunity to camp… until now. Camping builds trust and a strong team bond while also nurturing a love for the preserves and nature.